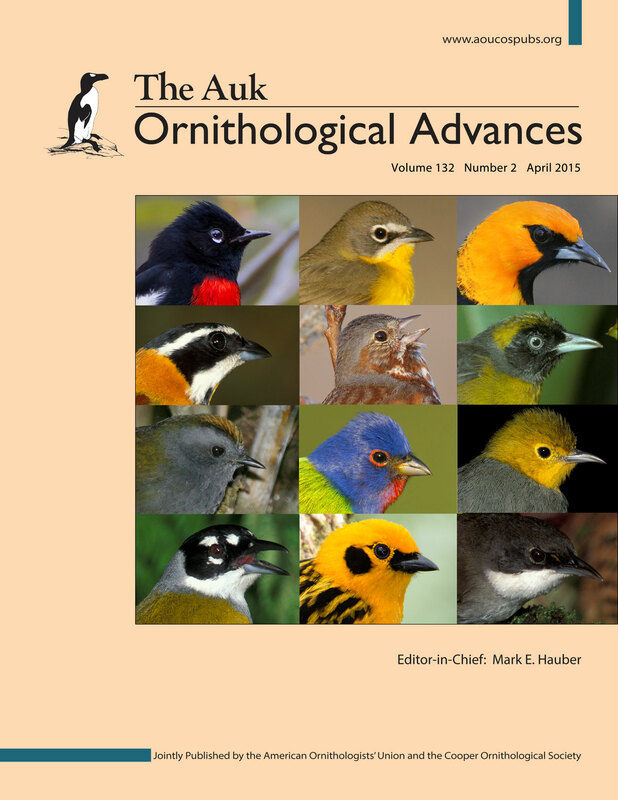 (January 7, 2015, The Auk: Ornithological Advances)—With a coverage of nearly 8% of all 10,000 avian species, a new open-access article in The Auk: Ornithological Advances, the top avian biology journal of the last two years, presents the largest, most complete, entirely molecular data-based phylogeny for any group of organisms studied to date. The phylogeny includes 791 of the approximately 832 species in Emberizoidea, a diverse group of New World songbirds including blackbirds, cardinals, sparrows, tanagers, and wood warblers. With the new and improved family tree generated from a team of extraordinary evolutionary biologists, F. Keith Barker of the University of Minnesota and his colleagues were able to derive many new insights about the biogeography of these birds. For example, the ancestors of all of these New World birds likely arrived in North America via an ice-age land bridge from Eurasia, after which they diversified and expanded into South America, the Caribbean, and even back into Eurasia. Other species kept moving back and forth between North and South America, and did so with increasing frequency after the closing of the Isthmus of Panama. Contrary to previous theories, Barker et al. also concluded that the ancestral ranges for modern-day long-distance migrants in this group were probably in North America, meaning that prior to the evolution of the annual migration they resided in regions that now include only their breeding ranges. The full article is available at http://www.aoucospubs.org/doi/full/10.1642/AUK-14-110.1, and a set of slides with an overview of our current understanding of Emberizoidea taxonomy can be viewed here.